Posted on June 20, 2012 by Thomas D. Shults, Esq. June 8 – Mi Familia Bota Education Fund, et al. v. Ken Detzner filed in the Federal District Court in Tampa. The Plaintiffs allege that the actions of the state in attempting to remove non-citizens from the voter rolls violate the Voting Rights Act of 1965. 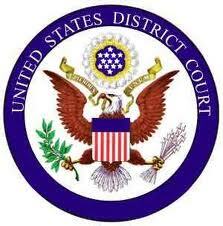 June 11 – Florida Department of State v. United States Department of Homeland Security, et al. filed in the Federal District Court of the District of Columbia. Florida seeks a declaration that the Department of Homeland Security (DHS) wrongfully withheld information in the DHS citizenship database necessary for the state to identify and remove non-citizens from the voter rolls. Florida also seeks an injunction requiring the DHS to immediately turn over the information so that the process of removing non-citizens from the rolls can continue. June 12 – The United States of America v. State of Florida, et al. filed in the Federal District Court in Tallahassee. The United States alleges that Florida’s actions violate the National Voter Registration Act of 1993, primarily because the Act prohibits removal programs during the 90 day period before a federal election. This entry was posted in Election contests, Florida Voting Issues, Litigation Updates, News, Voter challanges, Voter fraud, Voter registration, Voting Rights Act and tagged florida election attorney, Florida election contest, Florida election controversy, Florida election disputes, Florida election fraud, Florida election law, Florida election lawsuit, florida election problems, Florida election suit, Florida right to vote, Florida vote challenges, florida voter registration law, non-citizens vote florida, Thomas Shults, Tom Shults, voter fraud, Voting Rights Act. Bookmark the permalink.